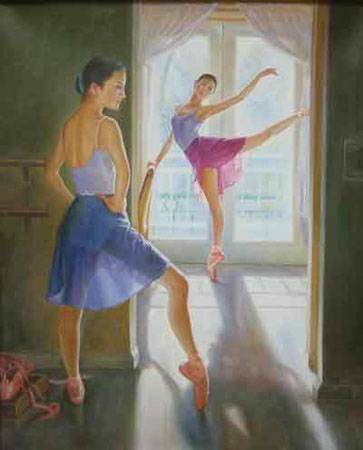 Ballet, ballerina, choreography, at the moment we are saying these words, we feel the grace and elegance of the ballet dancing art. 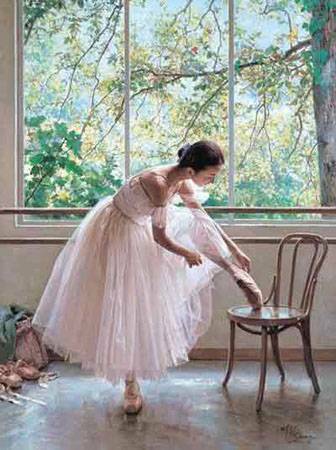 We are infatuated with the pure white dancing skirt, the light pink toe shoe even the ballerinas grazioso neck. 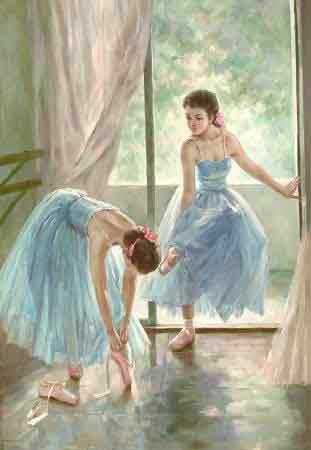 They are elegant and pretty, the graceful imperial manner. 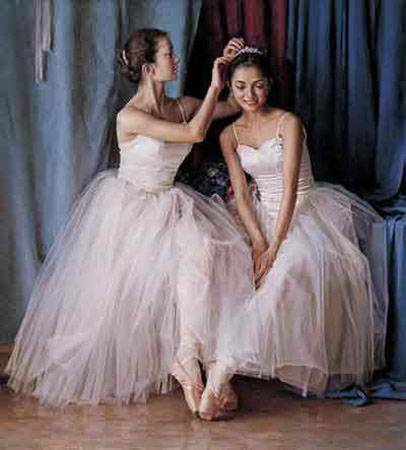 Peaceful and beautiful, pure and deep, they spread the ballet art with the easy manner. 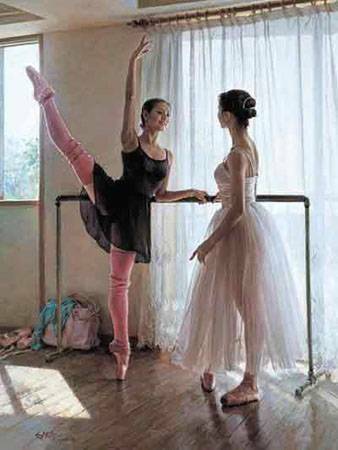 They express their mind with great strength. 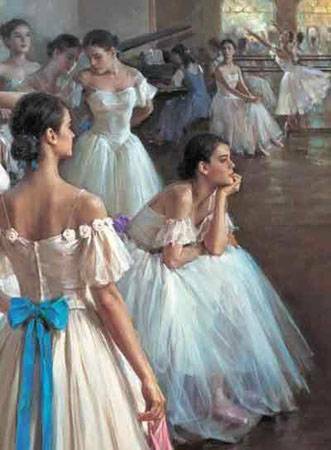 The audiences share the feelings with the ballerinas. 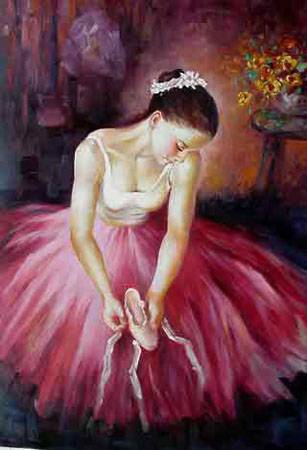 Ballet dances can express anger, fear, happiness and sadness by controlling their bodies. 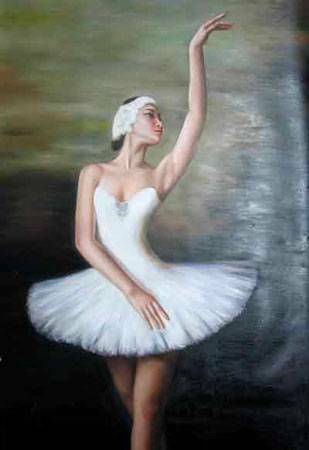 They keep balance when spinning, their feet move rapidly. 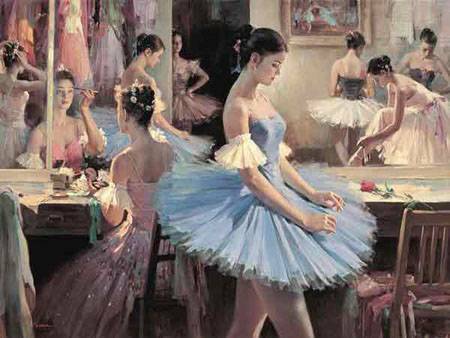 Their body shapes are so beautiful, harmony with the dancing environment. 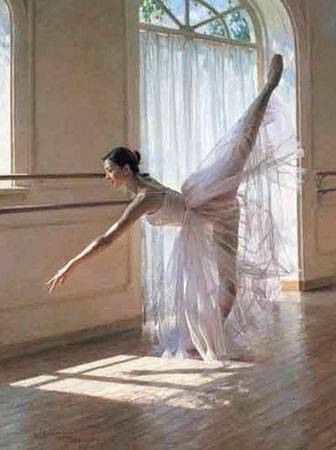 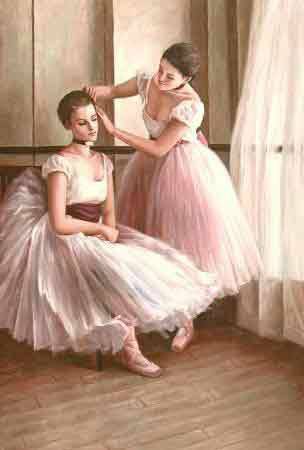 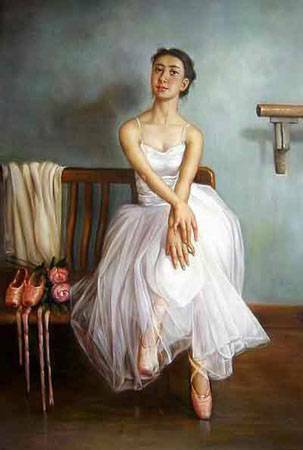 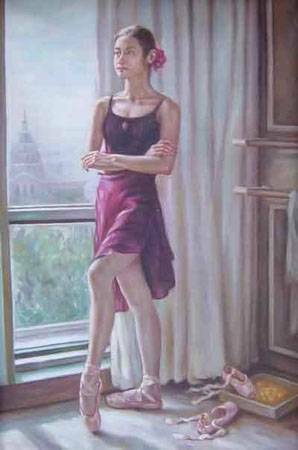 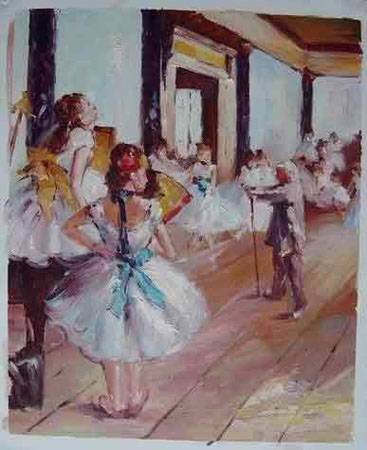 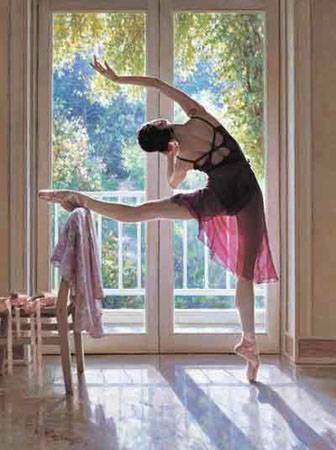 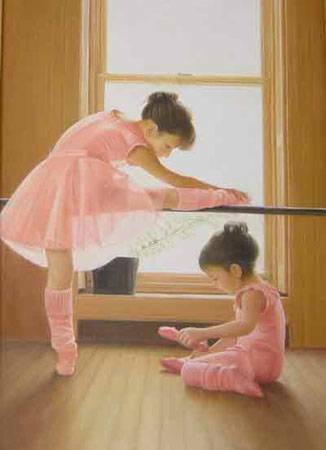 Oil painting artists express their fondness of the ballet art with brushworks. 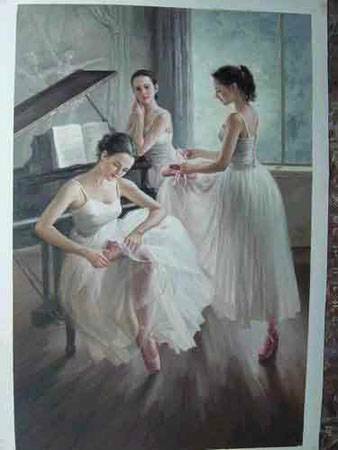 They paint the dancers graceful steps in music, they paint the dancers heart via fine art.